Cooking with Herbs – A Delicious Demo! Mark Tinkleman, certified chef from a prestigious Center City restaurant, was on-hand this past Saturday for a special Cooking with Herbs workshop! 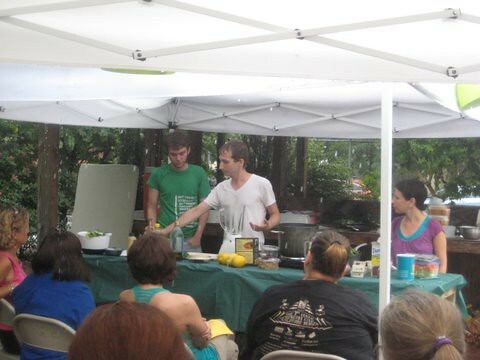 Thirteen neighbors joined us on a rainy day for some tasty recipe demonstrations. Be sure to join us for on Tuesday, July 27th from 6-8pm for another herbal workshop. Learn the medicinal value of common herbs you can grow in your garden. RSVP to Zoe Lloyd at zlloyd@nkcdc.org.